Teaching Music Differently explores what music teachers do and why. 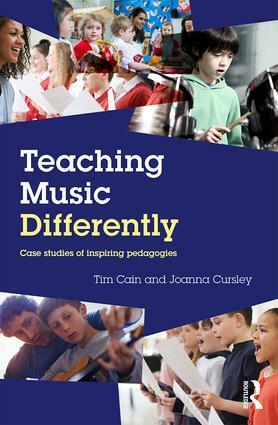 It offers insightful analysis of eight in-depth studies of teachers in a range of settings – the early years, a special school, primary and secondary schools, a college, a prison, a conservatoire and a community choir – and demonstrates that pedagogy is not simply the delivery of a curriculum or an enactment of a teaching plan. Rather, a teacher’s pedagogy is complex, nuanced and influenced by a multitude of factors. Exploring the theories teachers hold about their own teaching, it reveals that, even when teachers are engaged with the same subject, their teaching varies substantially. It analyses the differences in terms of agency – the knowledge and skills that teachers bring to teaching, their expectations shaped by their life histories, the ways in which they relate to their students and the subject and their ideas about the content they teach – what is important, what is interesting, what is difficult for students to grasp. It also explores the constraints that are imposed upon the teachers – by curriculum, policy, institutions, society and the students themselves. Together with discussion of key ideas for understanding the case studies, historical influences on music pedagogy and the main discourses around music teaching, Teaching Music Differently invites all music education professionals to consider their own responses to pedagogical discourses and to use these discourses to further the development of the profession as a whole. Tim Cain is Professor of Education at Edge Hill University, UK. Joanna Cursley is a freelance researcher, specialising in the impact of music on offenders and ex-offenders. Jo was previously a Senior Research Fellow at the University of Exeter, UK.